Oh God I’m Sooooooo bored!! I’ll be glad when tomorrow comes as it’s my last day at work before my holidays. I did try and start writing some stuff for a new blog I set up a while ago which is (hopefully) going to be about the concerts I’ve been to over the years. However I didn’t get very far. then I started to read a life story that my Dad had been writing at the time of his death – I wish he’d been able to finish it as it ended in 1973 just after we moved house and I started at secondary school. After that I read some of the old entries on this blog (God I must be bored)! I have tried to listen to some music but don’t seem to be in the mood. Sarah phoned me to say that Becky’s Engineering diploma results had arrived – it would appear that she got Distinctions right across the board – so it look like she’ll be off to the University of Sussex in September then! Well done her. 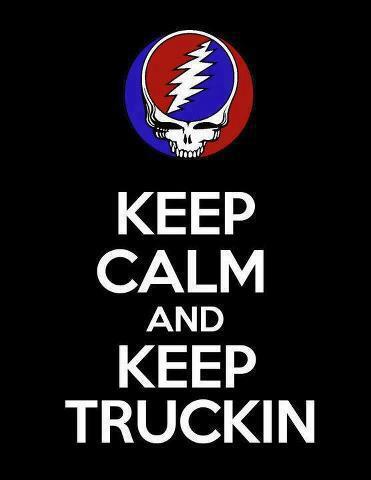 One of my colleagues asked me an impossible question today – to recommend 2 Grateful Dead albums for him to buy! Oh Blimey which do I go for? The main problem is that the band were best known for their live work rather than studio albums. So maybe I start there with their seminal work Live/Dead – a double LP recorded live in 1969. There’s a wonderful version of Dark Star that filled a whole side of the original vinyl album – but this album is very improvisational so if you’re not into that then would you struggle? The other albums that sprung to mind were American Beauty and Workingman’s Dead – these were the albums that marked a change in style to a very country oriented acoustic sound with vocal harmonies – I guess if he likes Americana then he’d get on well with these. Out of preference I would suggest American Beauty. So that’s it then Live/Dead and American Beauty………………but wait! What about Europe ’72!!!! Oh Bugger!